A tough stallion from Fillidelphia, where Luna's night is greatly worshipped. One of the most fastest ponies in town (the other 5 being bat ponies). Looks up to Rainbow Dash as equal role modelling material. Can blend into the shadows of the night. 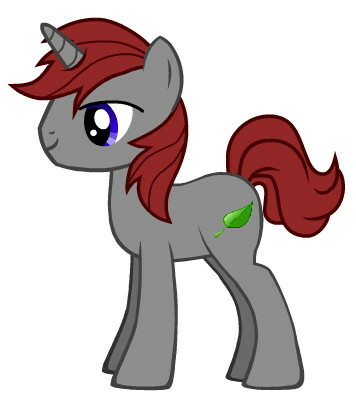 Likes: Friendship, Rainbow Dash, the night, Luna and a nice cup of strong alpple cider. Dislikes: The day, sleep, lighting clouds, the moon blowing his cover, pranks he doesn't know about. Looking for a nice relaxing cup of tea to help you unwind after a long day? Or perhaps your an early morning pony looking for a cup to help energize you and get you in the right frame of mind to take the days challenges head-on. Well this is for you. Tea_Leaf's Tea Shop is now open for business. His shop is located in The Hub, and easily noticeable. So everypony come on down and enjoy one of the many, many blends that Tea_Leaf has created. And if your looking for a particular blend of tea, then by all means speak up and Tea_Leaf will do his best to accommodate you. Exterior Description: Looking like a stone cottage, the Tea House is a comforting, inviting place. There's a small patio area just to the left of the front door, where ponies can relax and enjoy their tea when it's nice outside. Gearheart Old group, Picture and RP help. As some ponies have seen, I uploaded a picture of Gearheart's old traveling group, done by my sister. I love the picture but its a bit smaller then orignally planned, and my sister has other things to draw for other people. so if somepony could recreate the picture in anyway I would be grateful.